AQURON 7000 penetrating hydrogel concrete sealer is ideal for marine concrete, bridges, wharves and concrete infrastructure to provide concrete waterproofing, concrete protection against corrosion from salt water attack and effects of carbonation. AQURON 7000 penetrating hydrogel concrete sealer is spray applied to new and existing concrete penetrates deeply into concrete by molecular attraction, forming a unique hydrogel eliminating internal moisture migration, aligning with internationally accepted logic that "stopping moisture migration into and through concrete porosity halts all common causes of corrosion". AQURON 7000 penetrating hydrogel is only available strictly as a quality controlled "supplied and applied" application. Our Customer services team is here to help confirm the m2 costings for your project. AQURON 7000 Concrete sealer is guaranteed to eliminate the action of soluble chlorides in concrete and inhibit corrosion of imbedded reinforcing steel. 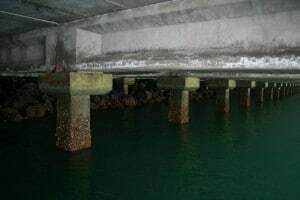 Economical and excellent performance on concretes washed by seawater and coastal spray, or that have been attacked by salts, acids, effluents, corrosive gases, etc. Contaminants are neutralised or purged from concrete which is protected from further attack. 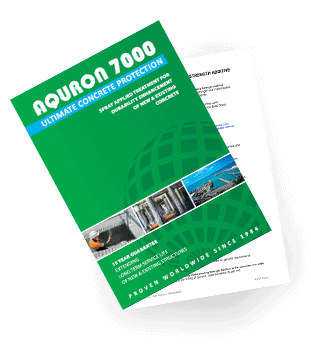 AQURON 7000 Corrosion Protection internal waterproofing and halting moisture migration provides resistance to corrosion factors associated with AAR (Alkali Aggregate Reactivity), ASR (Alkali Silicate Reactivity), and Delayed Ettringrite formation. 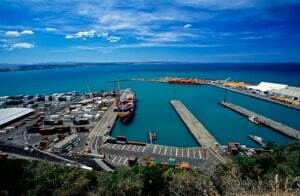 AQURON 7000 hydrogel forming corrosion protection treatment has been proven in Australasia over the last 20 years.